"Thank you so much for all your help with the headband and bracelet." 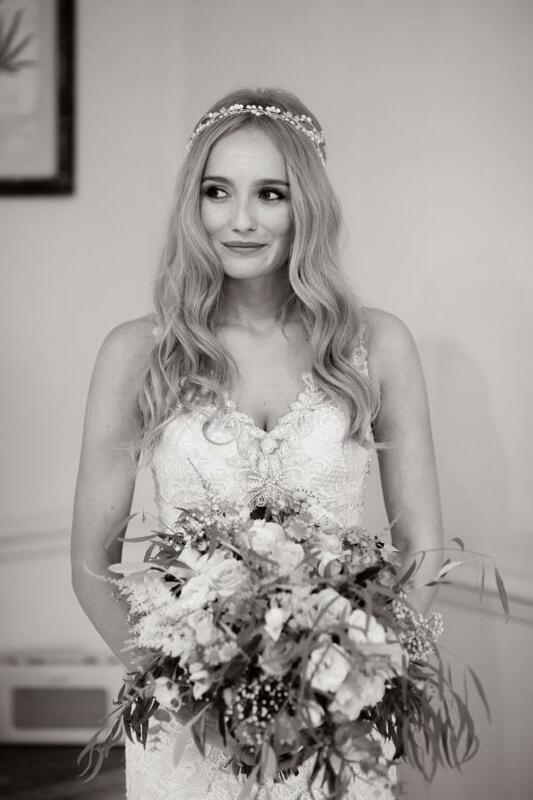 Thank you so much for sharing your wedding photographs with us Hayley, you look absolutely stunning! Hayley had favoured a beautiful bespoke Gini Garland for her wedding day. Amazing wedding photography by the talented Kerry James @ A Tall Long Legged Bird.